I love your out of focus tree......it's beautiful. such a soft picture. beautiful. i love the redbud branch. Such lovely thoughts and images. We often overlook such beauty around us. Beautiful photos and beautiful words! Pink blossoms on the first photo are so lovely. very pretty; the journey to spring. I don't know anything about oaks... are those pink flowers from the oak? They're really pretty! 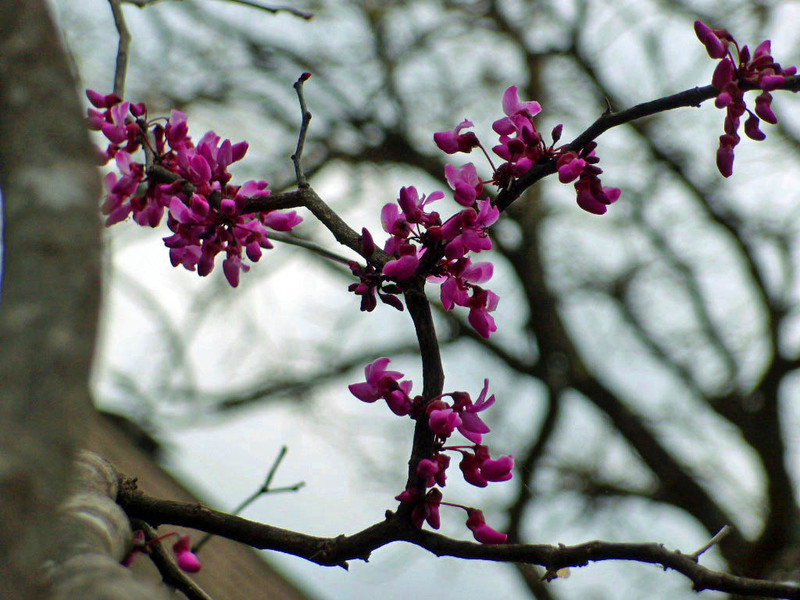 pink flowers are from an early flowering tree called a Redbud....they are the first to bloom here! 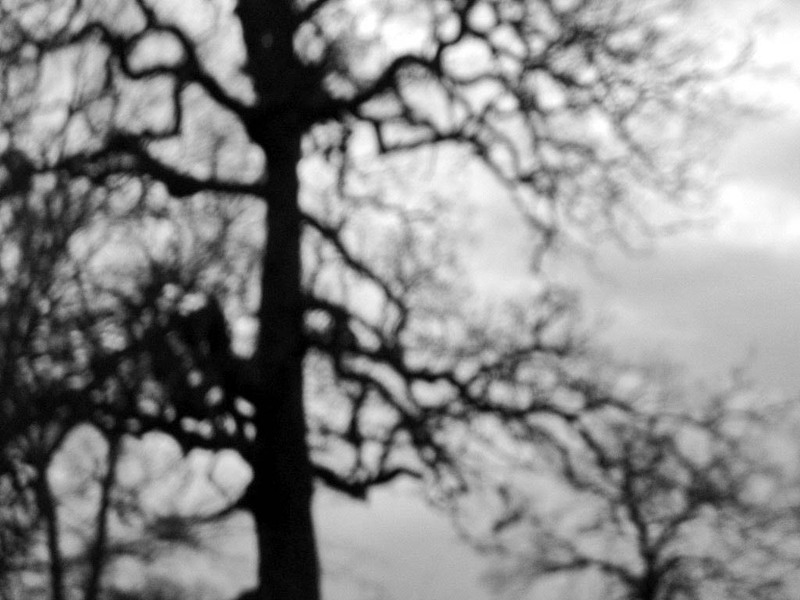 The tracery of lines from that oak are like the backs of my gran's hands - beautiful and wise. I love the bare branches of trees. You witness the trees' strength and fragility all at once. Beautiful post today, ELK. Great early spring photos. Lovely flowers on the bare branch. and regeneration of life...love this series. gorgeous...gorgeous....I have an oak in my front yard now that I love. and I also love red buds. I'm with WW. That out of focus tree is amazing! Don't you just love the changes in the seasons? Each one lovely. you are stuck with me ...not the bare branches tho'! my blog friends I so appreciate your visits here...and taking the time to leave comments really makes me smile! 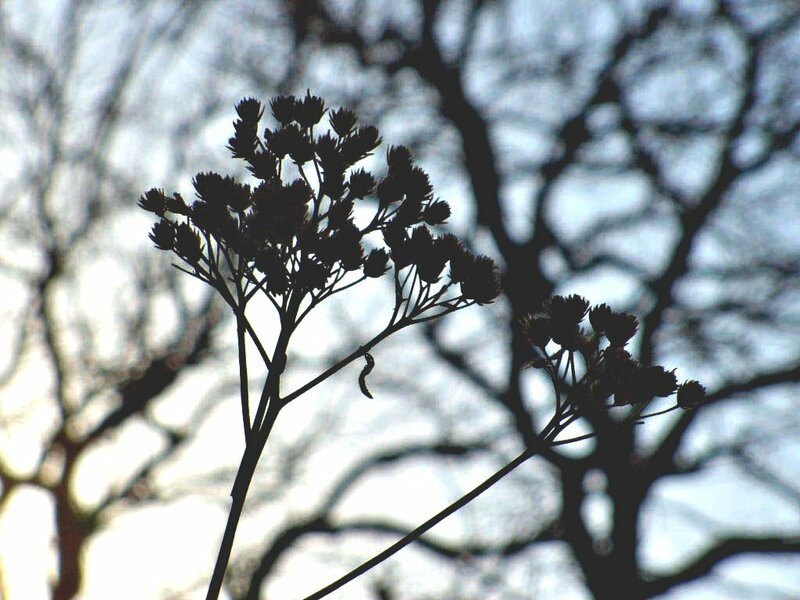 Beautiful bare branches that show the essence of the tree... gorgeous! the pink drew me in the bare branches kept me here. I really love the soft focus shot!